Congratulations to Tom Burbank on being named a 40 Under 40 recipient by ACHR The News. 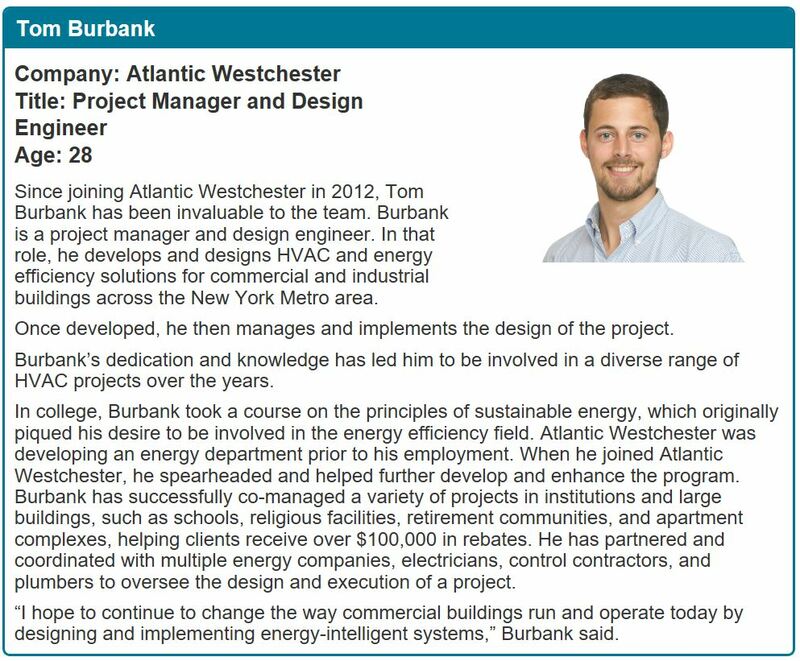 Tom is a Project Manager and Design Engineer at Atlantic Westchester who develops and designs HVAC and energy efficiency solutions for our clients. We are so proud of all your accomplishments! To learn more about Tom and his work at Atlantic Westchester, please visit: http://bit.ly/2MBZcTg.